We’re getting to be a broken record on this John Jeremiah Sullivan character, but man, there is some really really nice writing in here about Cuba. Check out Top Graphic Novels Starring Mighty Girls. Reader Susan recommended this site to us and it’s awesome! Speaking of books, this is deep nerd territory, but I could look at this stuff forever. This is just a crazily entertaining piece by the great Burkhard Bilger, about the world’s strongest man. (Even if you do not spend your free time watching 400-pound dudes pull trucks with their teeth on cable television, trust me on this!). For no reason at all, other than it is TOTALLY RADICAL, I had to go back and watch this opening sequence from The Limey, featuring the always badass Terence Stamp. When his face comes into focus? So good. Finally, it is officially Chili Season, and I made my first batch last weekend. A book by Susan Cain that has made me look at everything differently — my children, myself, even the Presidential debate. An interview with Mindy Kaling which includes 15 things women like to wear that men just don’t care for — sequins,capris, wedge heels. There are many books coming out from food bloggers in the next few months, but My Berlin Kitchen, by Luisa Weiss (otherwise known as the The Wednesday Chef) is the one you need to tuck into on a fall weekend while the soup simmers. I will be at Chevalier’s Books in Los Angeles on October 26 at 3PM. Thank you DALS army for mobilizing to make that happen! I have a few other appearances coming up this fall, too. Please head over to my Events page for details. Orangette had her baby! When I said that out loud in the car with a little too much glee, Andy said “I want you to think about what you just said.” OK, I’ll rephrase that: Molly Wizenberg, one of the originals, is now a mom, and as usual writes about it beautifully. Today my wife and I celebrate our 10-year wedding anniversary. This morning we exchanged presents. Yes, unbeknownst to each other, we both purchased your amazing cookbook Of course, we are keeping both books. We will be away the weekend (sans children) and look forward to laying in bed and reading our own copies. Thank you for elevating an already very special weekend. I mean, come on! How can it not be a great weekend when you start off on a note like that? 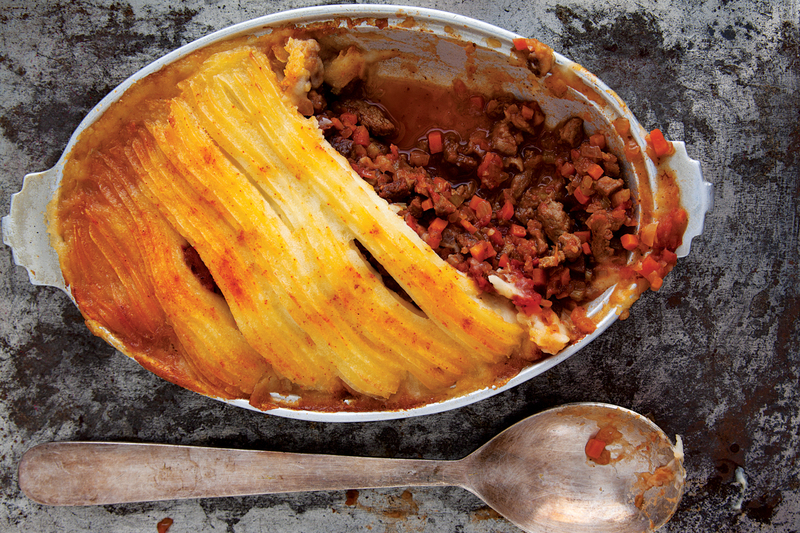 Do you have any good vegetarian shepherd’s pie recipes you could point me to? Ooooh Molly had her baby?? Gotta go check her site, I was just thinking the other day that I needed to check in on her blog. I just read her book (again) the other day…. Didn’t you just LOVE Quiet? I couldn’t stop thinking and talking about that book. Jenny, You should come to San Diego–with your girls. We have Sea World, Legoland, a great zoo and wonderful beaches. Would love to get my copy of the book signed if you ever make it back to this coast. BTW, I made the fennel and apple slaw last night and it was fantastic. We had it to the Margarita pork chops from the I Love Trader Joe’s cookbook, which are delicious. I just want to stop and take a minute to applaud you both for being lovely people who take the time to write thoughtful, funny pieces about food and reading in a way that makes me want to be a better reader/writer, cook, parent, etc. You guys just do such a great job – go you!! The exact same thing happened to me this summer. I flew from VA to TX to visit one of my best friends. I started telling her about a the present I had almost brought her when I gave her a handmade necklace made to raise money for a mutual friend’s adoption instead. The only way I could describe it as cookbook/narrative/memoir was to compare it to “Molly’s” book I had given her a few years ago. She started freaking out. She had bought me DINNER, exactly what I had almost brought her! Tomorrow I am on my way back to Texas for her mother’s funeral, so reading John’s note warmed my heart today. Gift of the Magi. Thanks Jenny recipe looks great! I’ll let you know how it turns out! Also love your blog, new fab book and kids book recommendations! Shepherd’s pie is what I want for dinner now!